Farrar, Straus and Giroux (BYR), 9780374300371, 40pp. One sunny day, a little boy heads outside for a swim, but his pool is already taken . . . There's a big whale in the water and it's not budging! The boy tries everything to get the whale to leave. Nothing seems to work. Not fetch. Not tag. Not even offering his allowance. What's a boy to do? Luckily, he comes up with the perfect solution: he decides to chill out on a spray of water over the whale's spout. 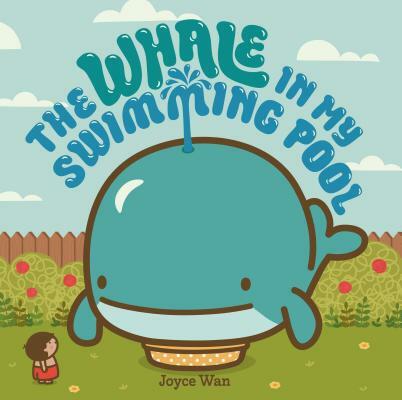 This colorful whale of a tale from the talented Joyce Wan is sure to inspire giggles from little guppies!